Satisfactorily running a company requires a lot of work and effort and it becomes very difficult to pay equal attention to everything involved. We easily miss out improvable aspects that would enhance our company performance if we worked on them. For this reason, it is always advisable to hire a management company. A good management is essential to develop our activity. Professionals with remarkable management skills will take over accounting, maintenance, secretarial services and contract management among other aspects. To be sure about whether everything is going right between you and the company providing management services, you both should create a management services agreement. In Derby (Derbyshire), there are many quality companies that offer custom management services as well as global management services like expatriate management solutions. On the other hand, if you need specific services you will be able to find them in our directory too, like credit or web management services. Do not forget that the right management of a business is the key to success. At Infoisinfo, our commitment is to work hard every day to be able to show you where to get the best products and services for you or your company in Derby (Derbyshire). As we care about your business and we want you to obtain profitable results from your economic activity, we’ve prepared a list of the best management services in Derby (Derbyshire) in case your company doesn’t count with its own department of management. Professionals will help you to improve different aspects of your business and thus, enhance your company’s performance. You will find different options depending on the kind of management company service you are interested in. 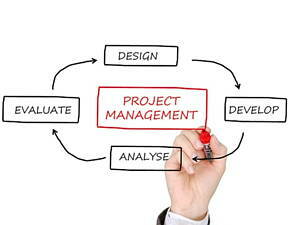 For example, there are multimanagement services companies that offer multidisciplinary advice and solutions while others are focused on a particular field like property management services, risk management services or waste management. In our directory, you will see contact details to get in touch, like phone numbers, websites, address or opening times. In addition, there are comments and valuations from other clients available so you can get a better idea of the services’ quality. Management and freight are the main categories of this business. Hello. I would simply like to ask you a question your company(society) in June be called such HAD FREIGHT management?. Management and weight management are the main activities of this business. Hypnotherapy for Quitting Smoking, Weight management, Fears/Phobias, Emotional and other issues.